GSO SVD series 6" F/5 Reflector is very high quality telescope with superb optical systems housed in a glossy white metal tube. 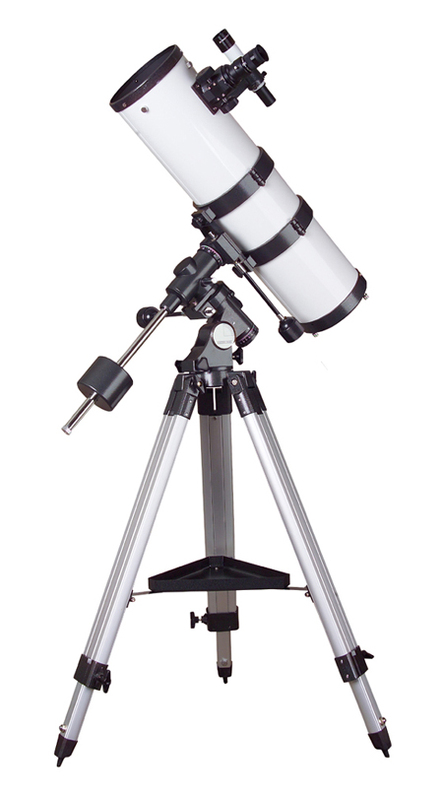 This 6" model features a parabolic mirror has a focal length of 750mm (F/5), so it offers generous wide-field views of deep-sky objects when used with the included Plössl 25mm eyepieces. The stable German equatorial mounts with two slow motion controls on both axes for easy and smooth tracking. An optional single axis 12v DC drive system is available for electronic guiding.